SUMMARY: In A Tree Grows in Brooklyn, Betty Smith tells the coming of age story of Francie Nolan, who is an innocent and imaginative twelve year old when the book begins. When Francie looks out of her window, she sees a Tree of Heaven growing. 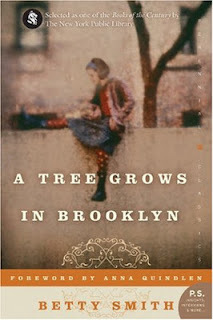 The tree seems to grow wherever the poor can be found, even in the Williamsburg tenement neighborhood in Brooklyn. Smith notes that “no matter where its seed fell, it made a tree which struggled to reach the sky.” Like the tree, the Nolan family struggles to make ends meet during the first two decades of the twentieth century. This is a huge theme present throughout the entire book. Katie was so dedicated in educating her children so that they could live more successful lives then she and Johnny did and Francie was constantly aiming for higher education. The power of education has only continued to get stronger since the early 20th century, more and more people are aiming for higher education today, and the importance of literacy is being realized more and more everyday. Francie's ability to read and her education changed her life considerably, in her job for the newspaper, she makes more money then her mother and father put together when they were both working. It was interesting to see how the idea of getting an education changed and developed with the different generations of Francie's family beginning with her grandmother, Mary Rommely, who was the first in the family to introduce the importance of an education. “A person who pulls himself up from a low environment via the bootstrap route has two choices. Having risen above his environment, he can forget it; or, he can rise above it and never forget it and keep compassion and understanding in his heart for those he has left behind him in the cruel upclimb. Poverty has been an ever present theme in the history of the world. It is what shaped the lives of many of the characters in this story, it made them stronger, it strengthened family relationships, they were constantly fighting for survival and aiming for a better life. We also discussed how different characters reacted to and treated people in poor circumstances, some showed compassion, some aimed to lift themselves up by putting others down, others wasted their own suffering by shunning and ridiculing others in similar situations. It was interesting to discuss how poverty can have such an effect on everyday interactions. This story is full of the sweetest moments of a family who finds happiness in the simple joys of life. This is such an important lesson to remember in this fast paced age of technology and instant gratification. We would all be a little happier if we realized that happiness isn't something complicated and hard to get, we all can embrace the beauty of that which surrounds us and thus find happiness. We could all relate to Francie, since we had all been a child once, full of imagination and expectation, and had experienced many similar experiences that she went through as she learned the lessons of growing up. We could also all relate to Katie, since most of our group are mothers or aunts who are watching little loved ones grow up and learn what life is all about and wanting nothing more then to help them achieve their dreams and protect them from sadness and heartache. 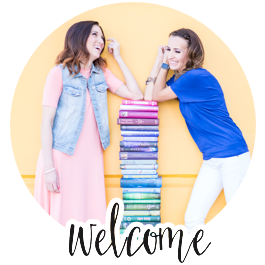 There are so many other wonderful themes throughout this book that connect the lives of the characters to the lives of the readers, that is what makes this book so classic and timeless. I wish we had time to discuss them all and share all the glorious quotes penned by Betty Smith. Language/ Profanity: Moderate - there is swearing throughout the book, but not enough to be distracting. Great review Kitch! I loved the book too and I liked how you've broken it up into themes. Well done! Kitch you are a fabulous blogger and writer. I loved your review. Very thoughtful and all encompassing.